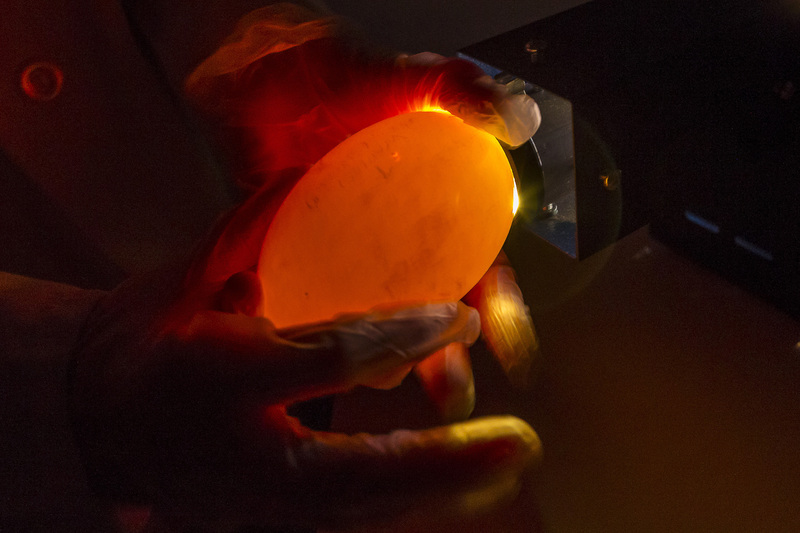 Keepers at the San Diego Zoo Safari Park are keeping a close watch on a pair of California condor eggs, marking the start of the breeding season for the endangered species. One of the eggs, laid Feb. 13, was tested Friday, and it showed a 14 percent weight loss from its previous check. Park staff check the eggs by removing them from their incubator, placing them on a scale and examining them next to a warm light. Animal keepers stick an artificial egg in the condor’s nest until the real one is ready to hatch, when they’re switched back. The zoo and Safari Park started a breeding program in the 1980s when only 22 condors remained in the world. The population is now more than 400, with 185 hatched at the Safari Park. The zoo said more than 80 of the birds have been released in the wild, and are living in California, Baja California and Arizona.